It’s arrived! After months of conversations, planning, research, writing, editing, and waiting, I received my first copy from the hands of a FedEx delivery person. Nervous and excited, I opened the package and held the book in my hands for the first time. Our baby has arrived and is ready to meet the public. 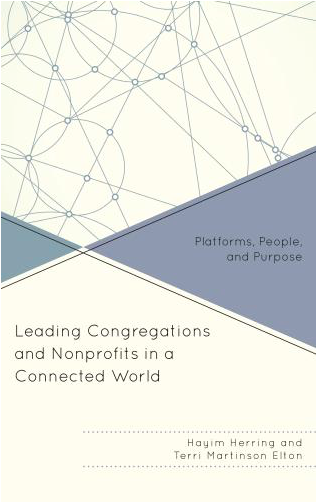 In the weeks and months ahead, my co-author, Hayim Herring, and I will be introducing you to our findings and to the congregations and nonprofits we studied. Until then, I simply wanted to share the good news with you, and invite to you take a peek (click here for more information). This entry was posted in Leading in a Connected World by terrielton. Bookmark the permalink.